Besides being the famous “Wine Country”, Napa Valley actually offers incredible outdoor opportunities to experience a different side, away from the classic wine tours and night-life restaurants. You’re free to slow down the pace of endless parties and events in exchange for nature and fresh air. The exciting spectrum of Napa Valley outdoor activities to tackle are never ending, such as: taking a panoramic hot air balloon ride across the valleys, riding with horses through rows of richly-scented vineyards, and indulging in your inner daredevil by diving into some water sports on Lake Berryessa. There are just few of the examples. Our favorites are listed below! You can never say goodbye to Napa without experiencing a hot air balloon ride from Napa Valley ALoft. Wake up with the sunrise to cast off into transparent, cool skies. 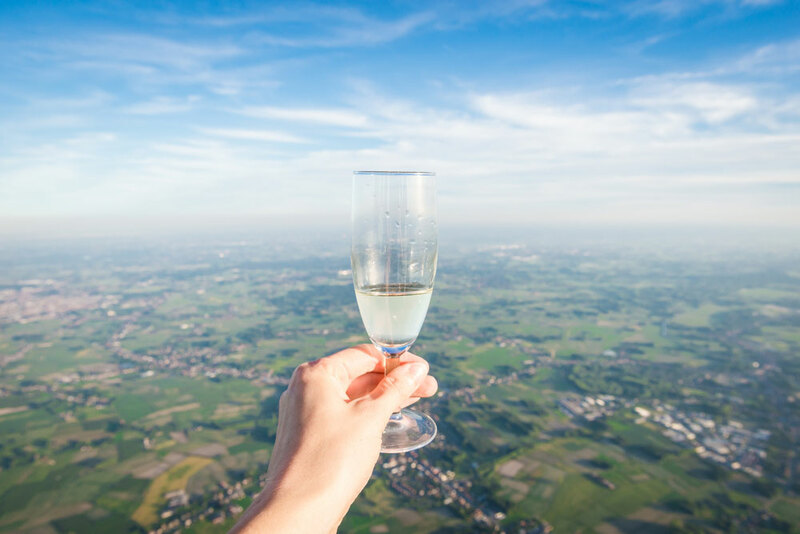 If you ask a pilot beforehand, you can have a glass of champagne to celebrate the end of your hot air balloon trip. It’s tradition! Who says it’s too early to celebrate the beginning of a new day? You’ll find your perspectives taken to new heights, literally! Maybe, if you’re lucky, you might even touch the clouds. Give your legs a workout as your journey up and down through swiveling, smooth roads and the scenery of a thousand harvested grapes. Rentals for bicycles exist in every region of Napa to aide you in experiencing the roads of vineyards that line the grassy hills and plains of wineries. It’s refreshing to absorb the fresh air rather than sit in air conditioning more than once in a while. The exercise and scenery will only do you good! Riding a horse is definitely something to cross off the bucket list. Saddle down and suit up for a day spent with a kind and gentle horse. They act as a guide through the vineyards and gardens. With an animal companion, you might find yourself not only appreciating the beauty of the things surrounding you, but even connecting with the gentle creature who took you on a journey. Fancy some endangered species, birds, or animals in general? Napa Valley is full of historic parks that enable you to admire the wildlife that exists within the mountain ranges and forests. It is home to familiar animals such as raccoons, foxes, and deer, as well as the last native species of bear in California living in an isolated, protected area of the county. You can make the choice to either venture into the forests and really take a crack at some serious bird watching and amphibious discovery, or you can nonchalantly stroll through protected parks and sneak a peek at a bobcat, mountain lion or black bear. 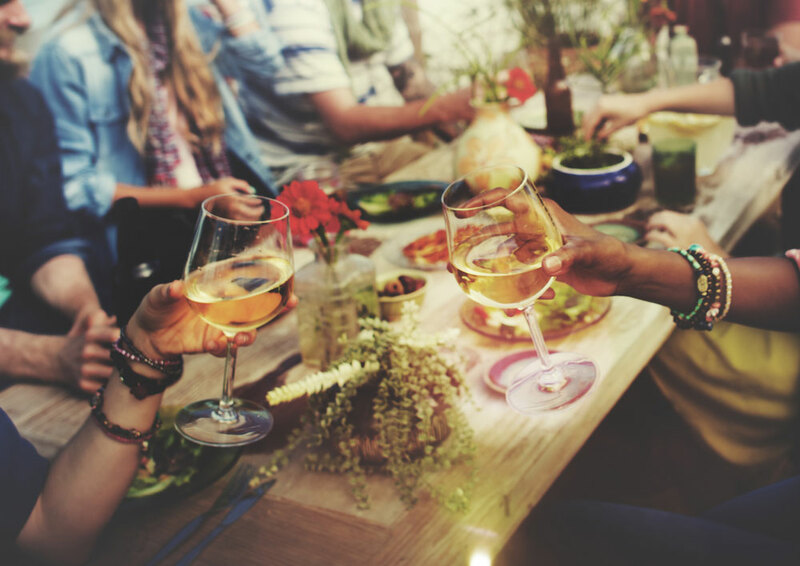 For a romantic Napa Valley getaway – camping out under the stars with a bottle of Pinot Noir sounds like one amazing story to share at every social get-together. Will you be telling it? While Napa Valley offers all kinds of experiences with indoor wine tastings with loved ones, it’s nice to step out of that atmosphere into an environment more in-tune with nature, because nature is always that lovely place to reset and relax. Take a backpack trip down to Skyline Wilderness Park’s camping grounds. It sets you apart at just the right distance from the crowd to shelter away from the noise and liveliness in exchange for peace and quiet. The open road is one of the best places to cruise, so take a ride with some motorcycles and mopeds through the countryside. In general, it’s amplified fun when traveling in a motorcycle or moped. There’s a freedom in feeling the wind through your body. Therefore, throw on some riding gear and leather jacket for it’s the perfect start to a late afternoon or a trip into the sunset. You can just smell the glass of wine waiting for you at the end of the finish line. Water Sports: Paddle boarding, Jet Ski, Kayaking – and Fishing! Cool off with a refreshing jet ski ride or kayak session in Lake Berryesa before lunch. You’ll be splashing in the waves for hours and wonder how on earth time went by so fast. Also, you can opt for a leisure boat trip around the lake as well if you fancy tranquil cruises. Fishing is another activity that could right up your alley as well. Whether you desire an adrenaline rush or a languid moment, anything in the water would be something worth diving into for the day. A luxurious Napa Valley outdoor activity would be to take a helicopter ride across the valleys of Napa, where you can awe over the regions and vineyards from another beautiful, aerial view (remember, the hot air balloons?). Helicopter rides are especially fun with a group of people or an exciting event. Can you imagine transporting a wedding party through helicopter? That’s a moment to remember! But if you’re traveling with a friend, or another dear person, it’s guaranteed both your breaths will be taken away. 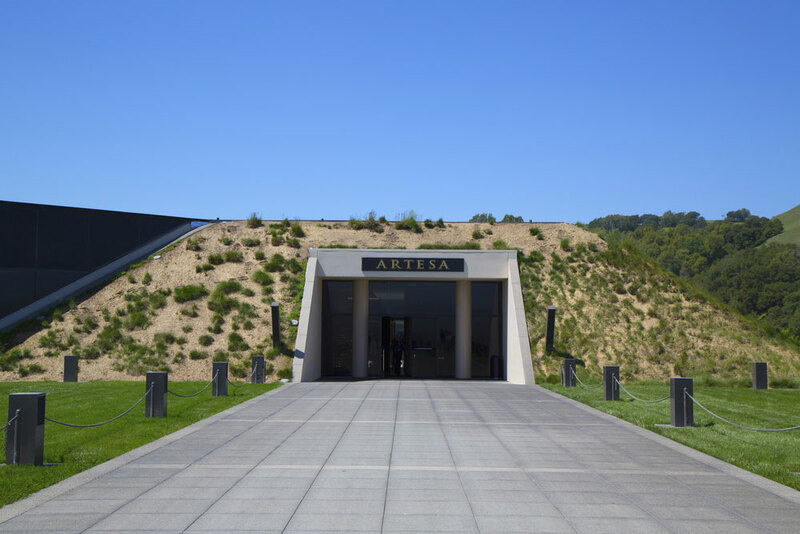 There is so much Napa Valley has to offer that it almost seems impossible to keep up with the things you need to cross off your bucket list. Oh well, we guess you just have to keep on coming back year after year to experience everything to its fullest. The French Benedictine Monk, Dom Perignon, had howled these words on the night he had accidentally created champagne. Little did he know – his discovery would become one of the most significant moments of French and viticulture history. Away from the classic reds and whites you are familiar with and adore, comes the selection of sparkling wines that have homes in the wineries of Napa Valley’s acres. No matter your preference as a wine lover, you will find excitement in exploring the following sparkling wine wineries that will delight your senses and expand your palette to enlightening calibers. But wait! Before we go any further, did you know that not all sparkling wine is champagne? Rather, champagne can only be called such if it is made from the region of Champagne, France. Everything else is simply sparkling wine! But all champagne is considered sparkling wine. Bubbles for thought. “Let’s catch up” is the signature catchphrase of Domain Chandon. With that, shall we sit down and enjoy a glass then? This winery holds authentic significance as being the first French-owned sparkling wine winery to be established in the United States. 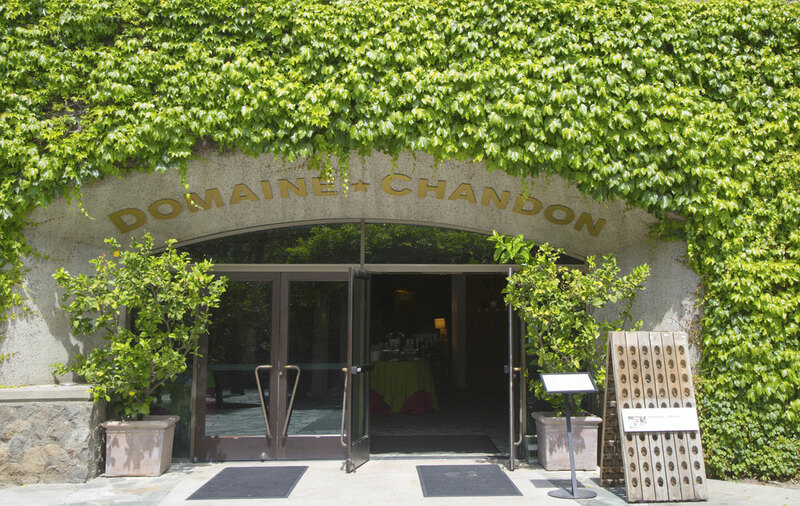 With this status, Domain Chandon aims to pioneer themselves forward as the most superior house of sparkling wine production. Sparkling wine specialties that should be brought to your next holiday party, or enjoyed during a lovely dinner, include the Sweet Star and Chandon Rose. You and your guests will delight over the delicate and seductive notes of fruity florals that leave an impacting, but refreshing taste. Walking into this winery will make you feel at home – the atmosphere is warm, reminiscent of an idyllic countryside, and features wonderful and adorable pets that roam the property. Pope Valley has an incredible but enduring history with its founders, the Haus family, whose history will both enlighten and break your heart. They suffered loss and disappointment, built this winery with their own hands. 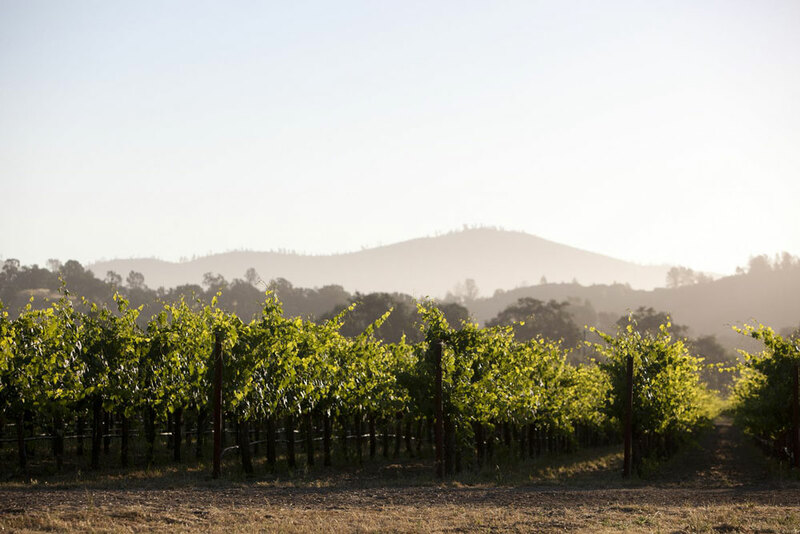 Pope Valley prides itself on being simple but authentic, which is one of the most assuring wineries you will find yourself wandering into during your stay in Napa. We recommend the Sparkling Blanc de Blancs to share with someone very special in front of a fireplace. One of the enlightening facts of Peju is that they are a Green Winery, meaning they are a certified organic winery! By taking an adventure here, you will find that the Peju family implements only the most sustainable farming methods into the creation of their organic wines, such as the use of solar panels to accumulate sunlight and minimizing waste and excess of production in order to ensure long-term preservation of the vineyard acres. You will always taste the passion and kindness in each of their wines mixed with bright accents of flavors. Recommendations include their classic Blanc de Blancs, the cheery 2015 Carnival, and 2015 Sauvignon Blanc. Fun fact: Peju also offers their own home-made jelly, spices, and sauces to pair with the food you indulge in with the sparkling wine! It’s a package to save for a souvenir or a picnic in the grass fields. If you fancy a historical treat, stop by the Nichelini Family Winery. Their vibrant and exceptional sparkling wines are produced and overseen by Aimee Sunseri, the great-great granddaughter of Anton Nichelini. Family bonds are the roots of Nichelini’s winery, with heritage extending “generation to generation”, meaning that there are five generations of Nichelini knowledge, dedication, and craftsmanship that have been passed down since the first. Nichelini possesses a richness of not only family history, but a sincere passion to carry on a phenomenal legacy of wine, meant to be shared with you – the visitor – who will pass on their hard work in the form of experiences made when a bottle opened is during the time spent with a loved one. Artesa comes from Catalan, for the word “handcrafted”, which is evident in the quality and character of both the taste and personality of the wines. There is incredible and rich Spanish heritage that illustrates itself within the craftsmanship of Artesa, with influences of flavors from Barcelona and Argentina, such as the lush acidity of fruit. The Cordorniu Napa Grand Reserve Brut is one of their most popular sparkling wines, an animated and spirited Chardonnay brewed with honeydew melons and apricot. On that note it is encouraged at wine tastings to try a food pairing with Artesa wine. One event to put on your to-do list is spend an afternoon feasting on Pintxos, a Spanish hors d-oeuvre composed of slice bread, with Albarino and Tempranillo. However, if sweets are more your preference, indulging in a chocolate and Grand Reserve Sparkling Wine tasting will also be a decadent experience. With this guide, Napa Valley hopes you will have a wonderful stay within our wineries, especially the sparkling wine wineries. They all bring a sense of magic to the table or celebration. One more thing. To add an extra adventurous touch to your next sparkling wine tour, take a hot air balloon ride over Napa Valley for a sparkling wine treat! Back in 1780, hot air balloon pilots and passengers would carry sparkling wine/champagne in the cargo to reserve it for a celebratory toast to the end of a flight. It has been a tradition for centuries that still holds splendid value (and makes a great picture!). Soft winds and gentle landings– for the sparkling wine shall not go to waste whether it be land or air.